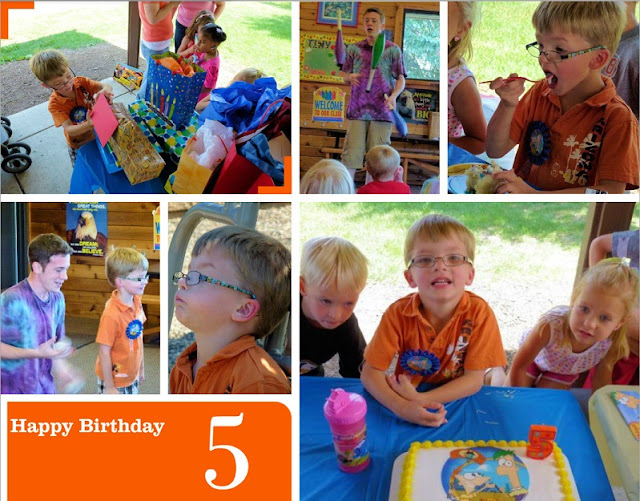 Two weeks ago we had a huge 5th birthday party for my son. There were nachos and cake and jelly beans, and a juggler - who juggled fire AND knives! He had a blast! Allison had a blast at the party! She mostly enjoys spending time with her "boyfriend" but also enjoyed the "jiggler"!! Thanks for the great party! I love the Phineas and Ferb cake! Super cute. The party looks super fun!